TORRANCE, CA, MARCH 14, 2018 – Marshall Electronics and MXL Microphones have introduced customized kits designed specifically for podcasters who want to add live video to their broadcasts. 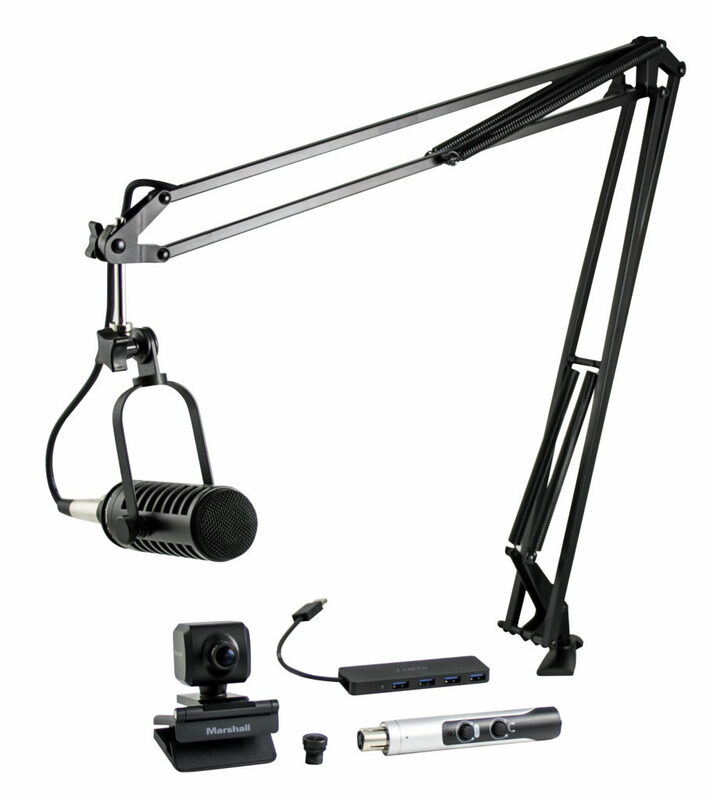 To be demonstrated at NAB 2018 (Booth 6508), the MXL Visual Podcasting Station (VPS) Bundles include MXL microphones and accessories, and Marshall cameras, making it simpler than ever to stream high-quality video podcasts. The Marshall CV502-U3 Miniature Camera included in the bundles delivers full-HD video and power over a single USB 3.0 cable and comes with a stock 2.3mm 126-degree angle-of-view lens. Also included in the bundle is the Marshall CV-4706 6mm lens, offering a targeted 48-degree angle-of-view for up-close recordings. 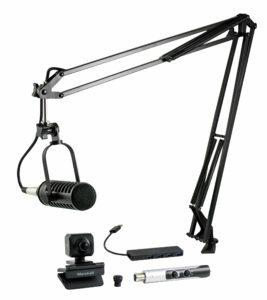 MXL’s BCD-1 Live Broadcast Dynamic Microphone is a standout broadcasting mic, with special hinged mic stand for easy handling, and built-in shock mount to negate vibrations and unwanted noise. 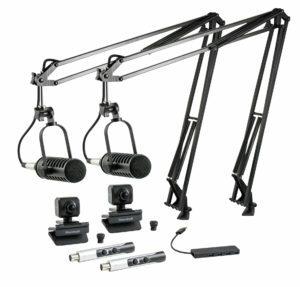 Combined with MXL’s Mic Mate Pro audio interface, which converts XLR to USB, and the included MXL USB Hub, the VPS bundles provide users with everything needed to instantly produce high-quality live-stream video podcasts from the convenience of a home computer or laptop. The MXL VPS Bundles will be on display at the 2018 NAB Show (Marshall Booth C6508). For over 30 years, Marshall has been a trusted provider of high quality and reliable video, audio and multimedia systems for Broadcast Video, Pro A/V, Pro Audio and OEM applications worldwide. Marshall is dedicated to supplying the Pro A/V market with innovative POV and PTZ cameras, format converters, conferencing microphones and production equipment at great value without sacrificing quality or reliability. Marshall Electronics, Inc. operates manufacturing facilities in the US, China, Japan, Korea and Russia. For more information on Marshall Electronics, visit www.marshall-usa.com. MXL is a leading manufacturer of consumer and professional audio products for the recording, broadcast, post, production, and live sound markets. MXL is a division of Marshall Electronics, headquartered in Torrance, CA. Additional information on all MXL microphones can be found at www.mxlmics.com.